You want to make your facilities and opportunities more available to more people, allowing customers to quickly browse what you have on offer, then book and pay instantly. This delivers an uptake in usage rate and ultimately drives more revenue. To help you deliver that we’ll provide your current (and potential) customers with the level of technology and customer experience that they’ve come to expect from the likes of Uber, Airbnb and Justeat - a few clicks to find what you need. In short we take the pain out of delivering a new level of service and functionality to your customers, all while driving increased revenue. 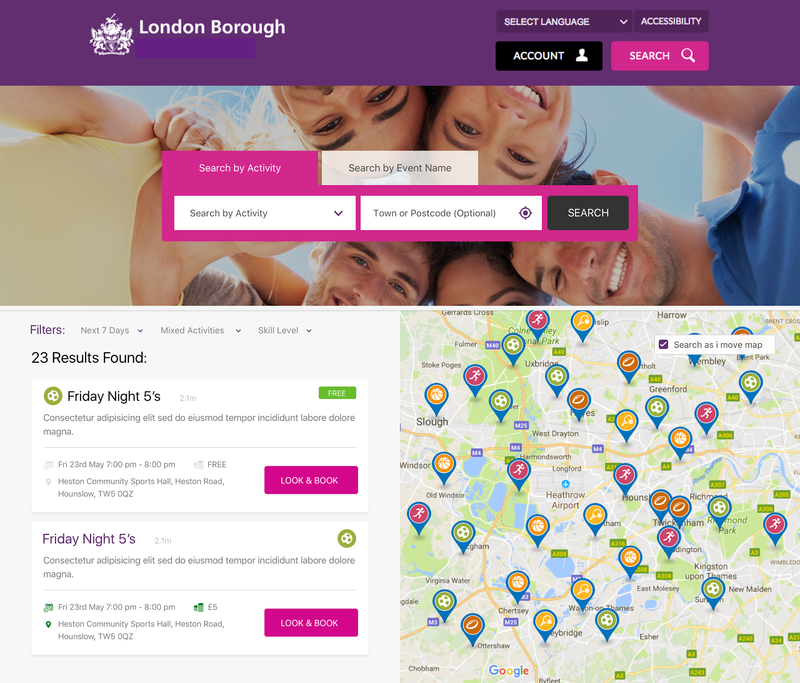 The Find a Player platform is the UK’s largest sports participation network, in simple terms we make it easier for people to organise, find and play sports in their local area. 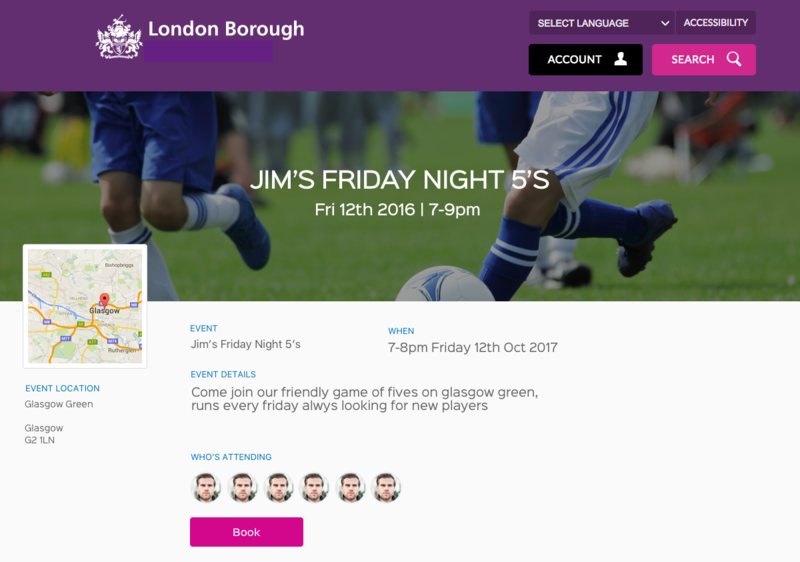 Our core product is a smartphone app which connects users to their friends, other local available sports people, clubs, events and facilities around them - allowing anyone to join, create or market a sports opportunity. 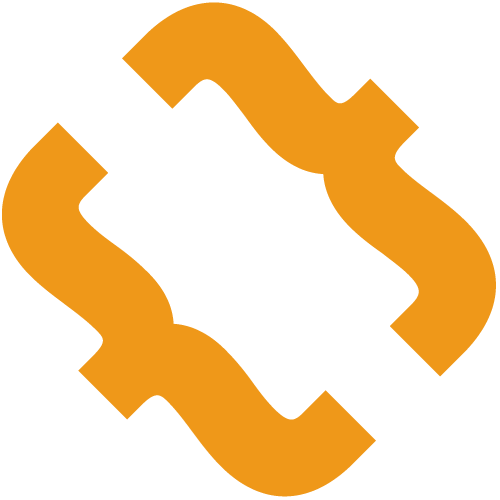 In addition to our main platform we also offer several complementary tools for use by 3rd parties. Our event widget can be embedded directly onto your own website and provides the following benefits. ‍Instant searching and booking of your available opportunities. An instant way to boost promotion and visibility of any sports opportunities you’ve created - directly onto your website . A full spectrum, out of the box solution which can be dropped directly onto your website without having to worry about the full technical burden of developing it yourselves. Our event widget is built to provide a vastly improved customer experience to your customers via your own website,allowing them to instantly search, book and pay (where enabled) for the opportunities offered at your facilities. Restricted to certain opportunity providers,venues or locations. We’re passionate sportspeople ourselves and our mission is to make participating in sport as simple as possible. One of the ways we do this is by continuously improving the way people find, organise and join activities around them. We’re constantly looking to extend our marketing into new areas and partnering with facility providers is a natural way to achieve this. We are dedicated to offering as many sports as possible to our users so promoting your facilities and opportunities is a perfect fit for us - we get to provide more content while you get to promote your facilities and drive your revenue. Its a win for us, a win for you and a win for our users. We’re keen to speak to anyone who shares our passion for getting people more active. In relation to our Event widget we’re principally interested in talking to local authority providers/sports trusts, commercial facility providers and governing bodies. We will use opportunity data from the imin API’s as well as our own session opportunity data from community members. We create participation data for each user that joins an event. We create physical activity opportunity data from our members. We create location and availability data for people interested in sports. We look to work with those involved at different levels of participation at a national and local level. Creating solutions with Sport Governing Bodies, local authorities tasked with increasing participation, commercial facilities, local sports providers including Universities. We also work in partnership with imin to drive forward bookable sessions. Out of the box the widget will work well with Open Active Opportunity data through the imin search and sync API’s. We recently won ‘Best App’ at the 2017 Sports Technology Awards (beating a who’s who of global brands inc Arsenal FC, New York Marathon, German FA and British Rowing in the final) so you know we’re up to the job and can deliver on our promises. We’ve also managed to create the UK’s largest sports participation network (with over 75,000 sports opportunities created by our users to date) in under 18 months since we launched. To summarise we offer smart, customer focused solutions to complicated problems and have a proven record of acquiring customers and delivering product. Find a Player is an smartphone app which makes it easier to organise, find and play sport.